If you are like us, this year you are still writing October whenever you have to write the date. So, Thanksgiving table décor likely hasn’t been top of mind. Luckily for us, Andrew Corrie, British designer, entrepreneur, and founder of Canvas Home, is here to offer his taken on a modern, minimalist table. Andrew’s vision encompasses a duality between urban chic and a more relaxed country environment. All Canvas Home products work equally well in both settings. Andrew’s mantra has always been: “The home is a blank canvas.” Below are his five tips for a stylish and simple table for the holidays. Mix Up Textures and Finishes. 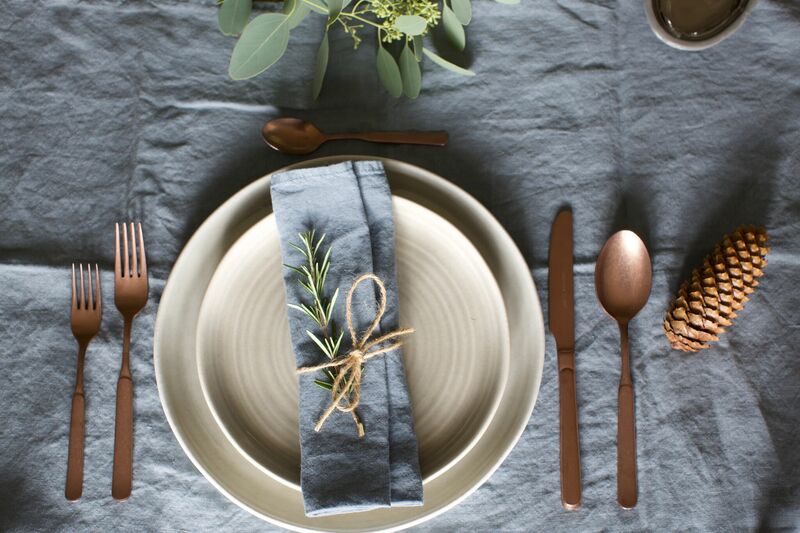 Varying textures and finishes give a table visual interest without overcrowding the space. 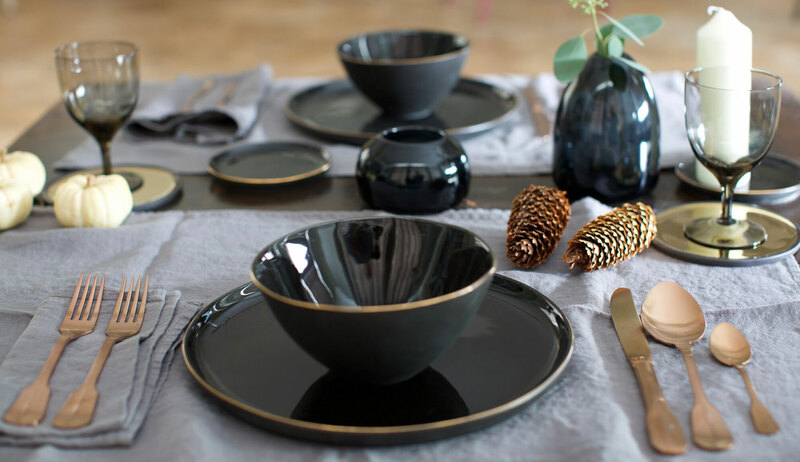 Having one consistent color on every place setting is a good way to tie the different elements together. It might be a soft pink napkin or one of our Aqua Eau Minerals glasses. Vary Glassware. At Canvas Home, we love to use drinking glasses from different sets with varying heights for an artfully executed and stylized table. This is a great way to add interest to the table without adding any unnecessary items. Minimal Accessories. 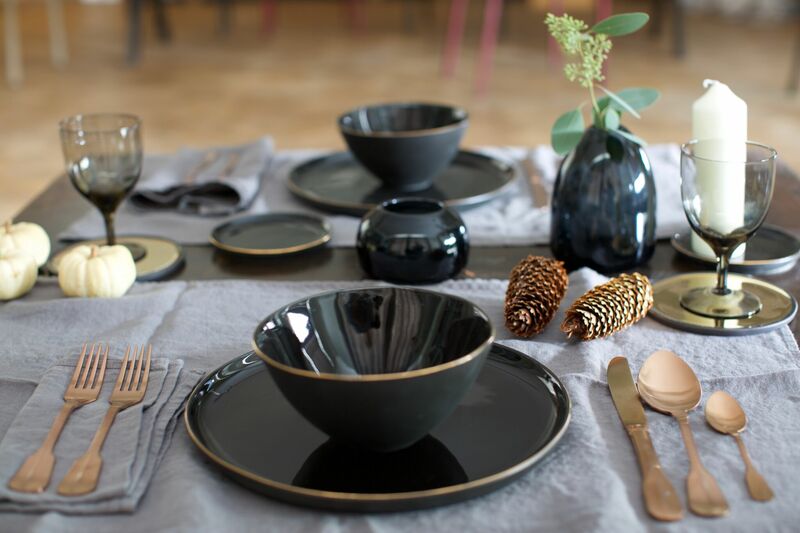 For a simple and sophisticated table, keep accessories to a minimum both in design and quantity. Less is more with clean pieces and a subtle color palette for a beautiful-yet-understated look. Try to use only the necessary plates and a few platters on the main table and keep the others on a close by countertop or table. Simple Centerpieces. Instead of a tall, cumbersome focal point that may overfill the table, we like to use low and minimal centerpieces. Smaller centerpieces are both tasteful and functional for conversation. At Canvas Home, we love to use drinking glasses as vases with one flower in each and simple greens. Bring the Outdoors Indoors. For a festive and fragrant table, bring the outdoors indoors. 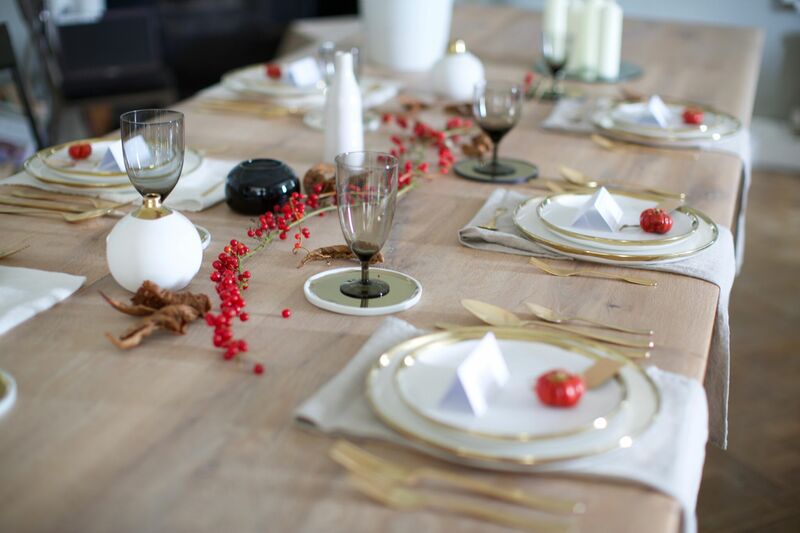 Berries, leaves, wreaths and pinecones give the table a seasonal touch. Add fall vegetables like pumpkins, gourds, or squash in autumnal colors to give the table color and vibrancy. See a few examples of minimalist tables from Canvas Home in the slideshow! 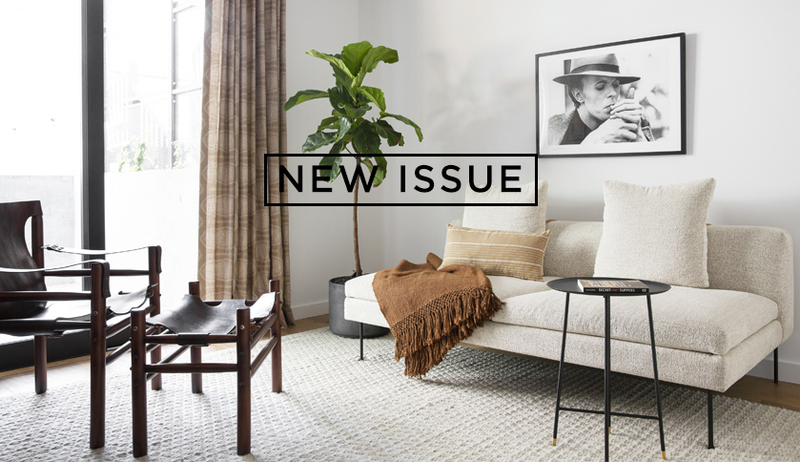 The Holiday Issue of Rue is Here!